Angela Yosten: 2 Blog Tours = 2 Winners! Whew! What a month it has been and it's not even over yet! It has been a rather busy month, but very exciting! I also have some new exciting news to share, but not today. That news must wait for another day. Today is an exciting day for many readers in blogland! Two lucky readers will be winning books from my blog today and many other readers will be winning from other blogs across the globe. Be sure to check all the sites from both the Sweet Celebrations book tour and the Beginner's Guide to Free Motion Quilting book tour to see if you are one of the lucky winners. I have randomly selected one lucky reader from the Sweet Celebrations Book Tour and one lucky reader from the Beginners Guide to Free Motion Quilting Book Tour. She said: "It's 3:03am I can't sleep so I'm blog hopping, I would say it's a BAD hair day so far for me. It can only get better! 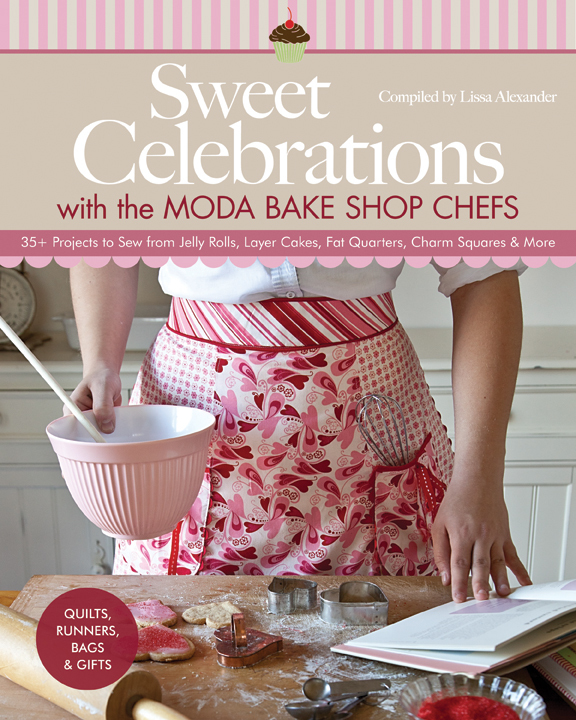 ;-> Toni Anne "
You are the lucky winner of a copy of the new Sweet Celebrations Book by the Moda Bake Shop Chefs AND a Moda Fabrics Layer Cake! She said: I learned to sew my first year in High School. My mom did not sew, so I took a Home Ec class and that's where I learned the basics. We made garments, but that went by the wayside when I learned to quilt ;-) Much more fun! 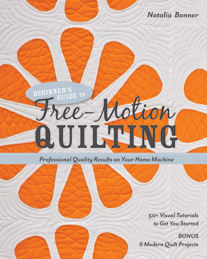 You are the lucky winner of a copy of the new Beginner's Guide to Free Motion Quilting by Natalia Bonner from my blog stop. Winners... please email me with your contact and mailing information so your prizes can be sent off. Thanks to everyone who participated and good luck on all the other blog stops for both tours! Congratulations to the 2 lucky winners!